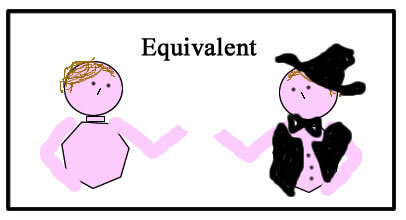 Equivalent fractions are...Like when you dress up in a costume! You look different but It's is still you in the end! 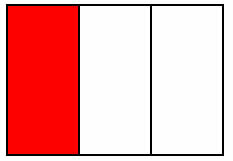 When two or more fractions express the same value ( the same ratio ) but are written in a total different way, then they are called equivalent! Another way to look at it is to consider areas. 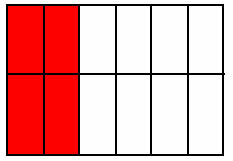 Another way to recognize equivalent fraction is when you are reducing them: you want to make their numbers smaller so that it's easier to "carry them along" when solving a practical problem. In the end is easier to cut a piece wood in 1/3 than in 3245/9735, isn't it? Did you notice? 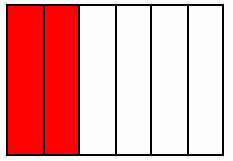 In the above fraction, 3245/9735, the Greatest Common Factor (GCF) is...3245! result in mathematical knowledge. SPEER, W. W.
Primary Arithmetic (Boston, 1897), pp. 26-27.